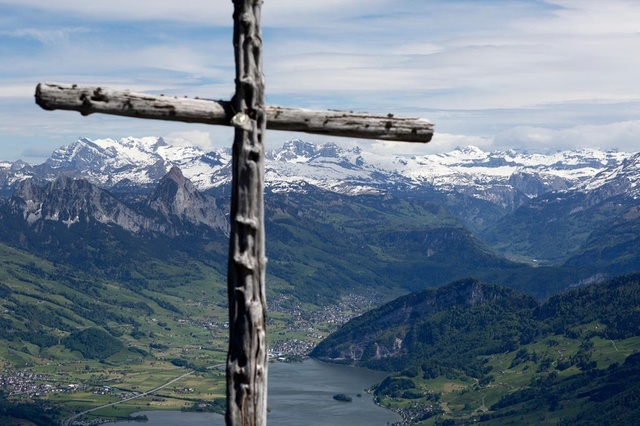 In Switzerland, this article does not seek to protect religious beliefs or God from insults, but focuses on protecting other people’s feelings. “This helps to maintain religious peace,” said Martino Monaand conflicts, which is why the blasphemy ban was needed, says Mona. Over the last few decades, migrants have brought other religions to Switzerland, including Islam (5.1% of the present population), Hinduism (0.6%) and Buddhism (0.5%). Maintaining religious peace has therefore become more relevant. Switzerland’s blasphemy article is under attack, but not because of an argument between religions. The attack comes from those without a religious faith, who represent around 24% of the population. In particular, the Freethinkers Association Switzerland, which “campaigns for the concerns of those without a creed”, is calling for an end to the blasphemy article. “Switzerland would thus be demonstrating a clear commitment to the right to freedom of expression and would also be helping to stop countries such as Pakistan, Saudi Arabia, Iran and Russia from providing justifications for their laws that are hostile to freedom,” the group says in a statement on its website. judgement, defamatory criticism of religion is not protected by freedom of expression. An Austrian woman was fined for remarks made during a public seminar, when she questioned whether the Prophet Mohammed was a role model for today’s Muslims and said that she thought his marriage to the six-year-old Aisha was an example of paedophilia. She expressed an opinion that Mohammed had lived a life that did not correspond to modern social standards. The Protestant, Roman Catholic and Christian Catholic (Old Catholic) churches are the recognised national churches. As such, the cantons make instruments of public law available to the churches, such as the right of taxation. Many cantons also publicly recognise Jewish communities, but recognising Muslim communities remains controversial. People are not NON-SENSE but they talk without sense?